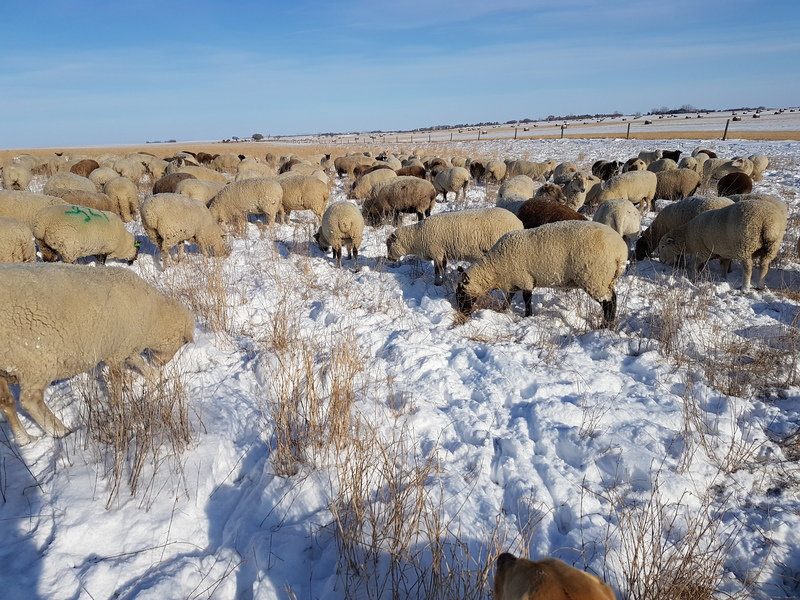 Snow days | Loch Lomond Livestock Ltd.
We had hoped to continue to use some fall regrowth to stretch our grazing season and to prevent getting into our winter feed, but mother nature had other plans. 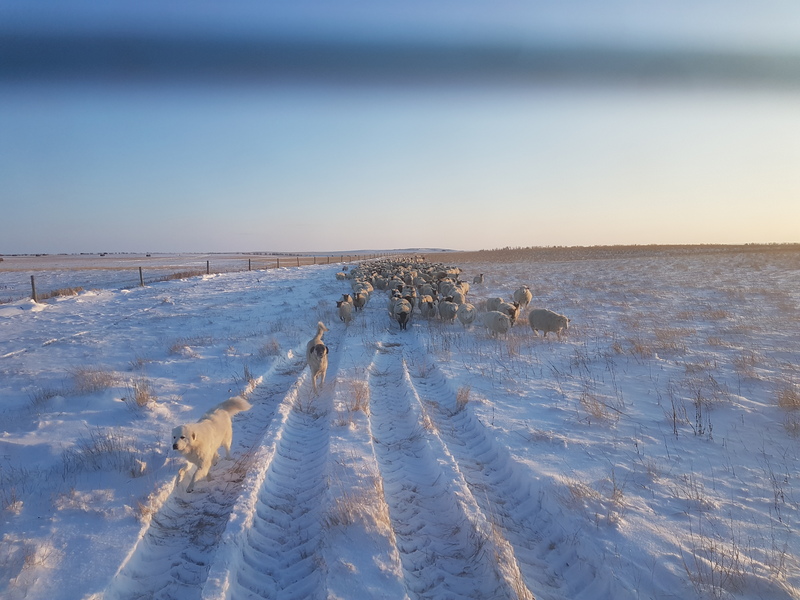 A considerable amount of snow fell this week, and while we are glad to see the moisture, it is making grazing difficult for the animals. 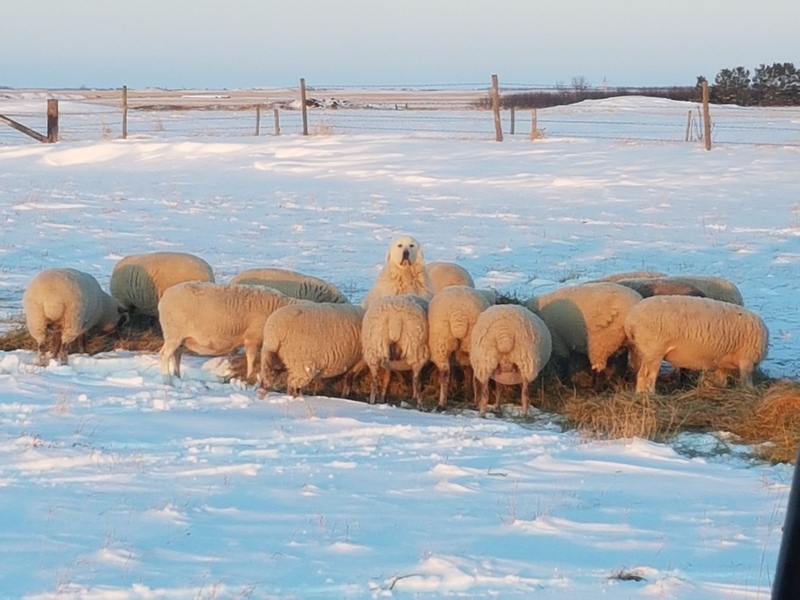 Sheep are quite efficient at grazing through snow and will paw it away to reach the green growth, while cattle use their nose to push into the snow or grab onto the tops of the grass and pull it out. Sheep grazing. 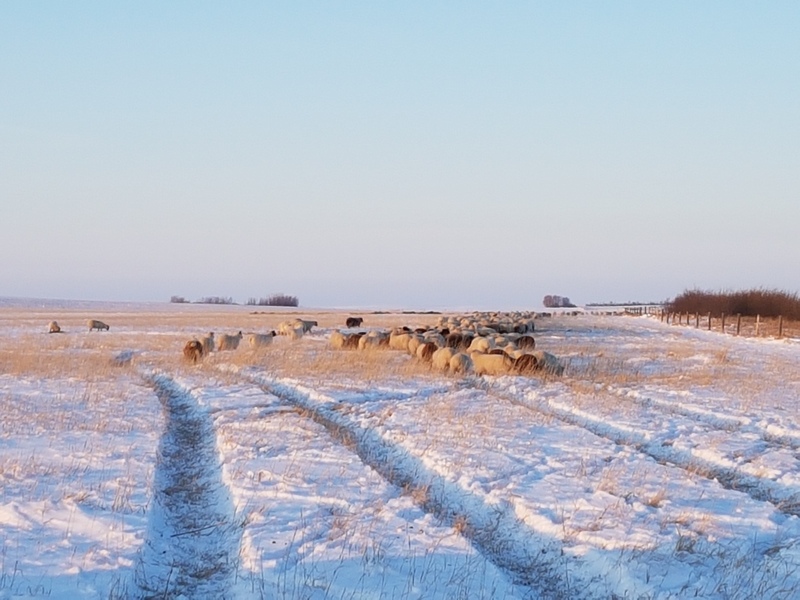 You can see the ewe on the left is pawing the snow away. 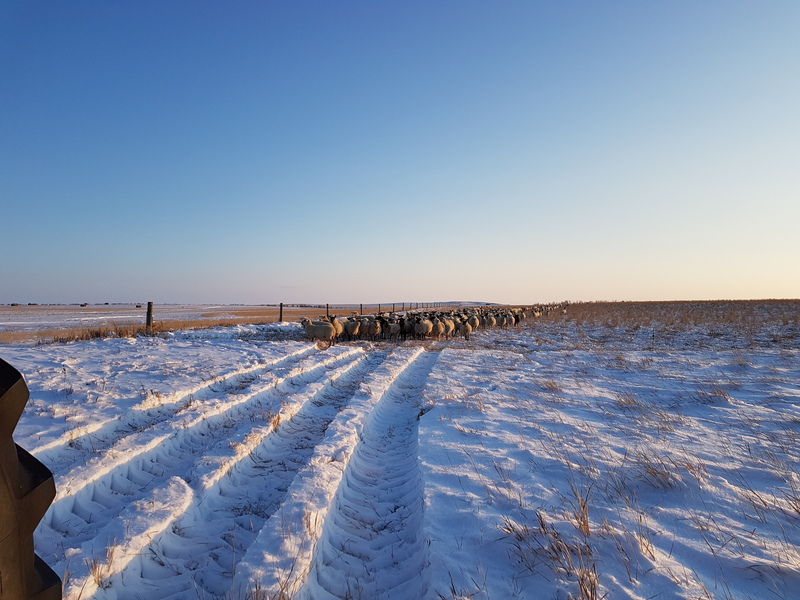 After this blast of snow, I was unsure the sheep would be able to get enough by grazing, as their pasture did not have large amounts of tall grass. The other day I took them a couple bales of hay, and they quite quickly ate them all up. That solidified my decision to bring them closer to the yard where they are easier to feed. This afternoon, I set out to move them. First I spread some hay in their new pasture, then proceeded to go collect the sheep. The few bales I had taken them previously reminded them about being fed, so when I arrived in the pasture, it only took a few moments for them to start to move towards the tractor. They began to follow, until I reached the space where I had taken down the electric wire. They knew exactly where that fence had been, and it took a few moments for them to determine it was safe to cross. 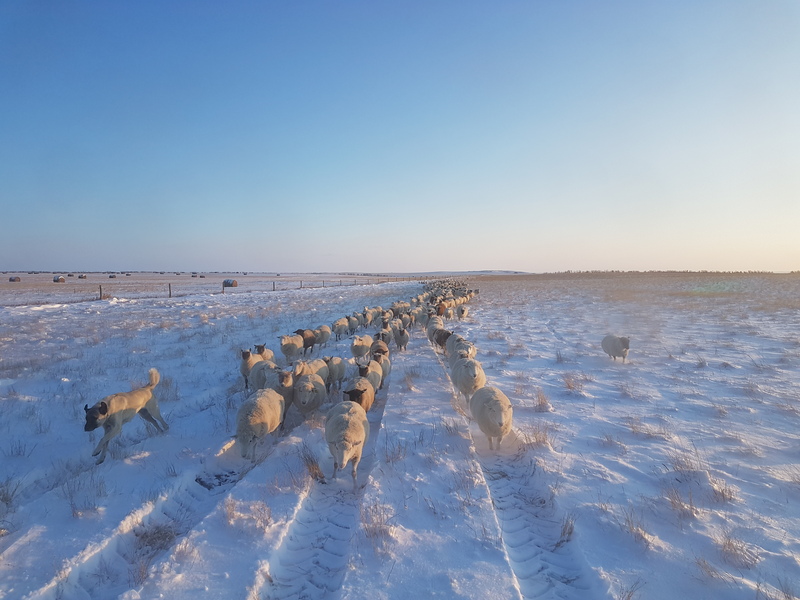 Once the first ewes cross over the place where the fence was, the rest quickly follow. We headed across another piece between their old pasture and new one. I wasn’t sure if they would want to explore this pasture, but they were mostly content to see where I was taking them. 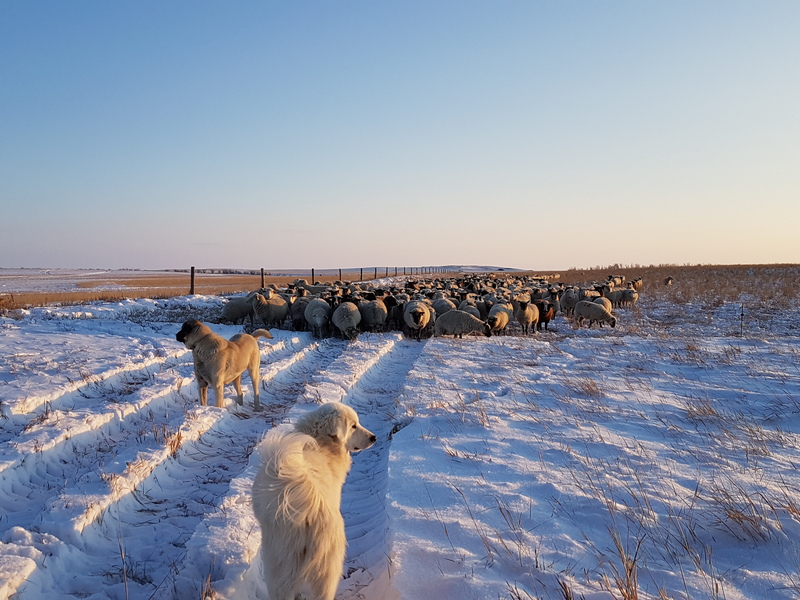 As we reached the hay, the ewes ran past to their feed, although as I followed, I still saw some sheep nibbling at the grass uncovered in the tracks. 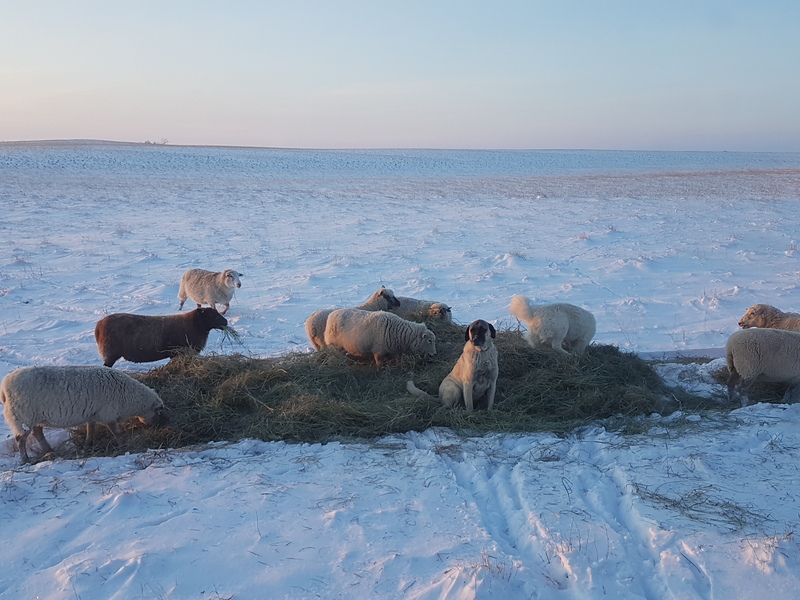 And while the sheep are happy to have feed, the dogs like hay for other reasons.